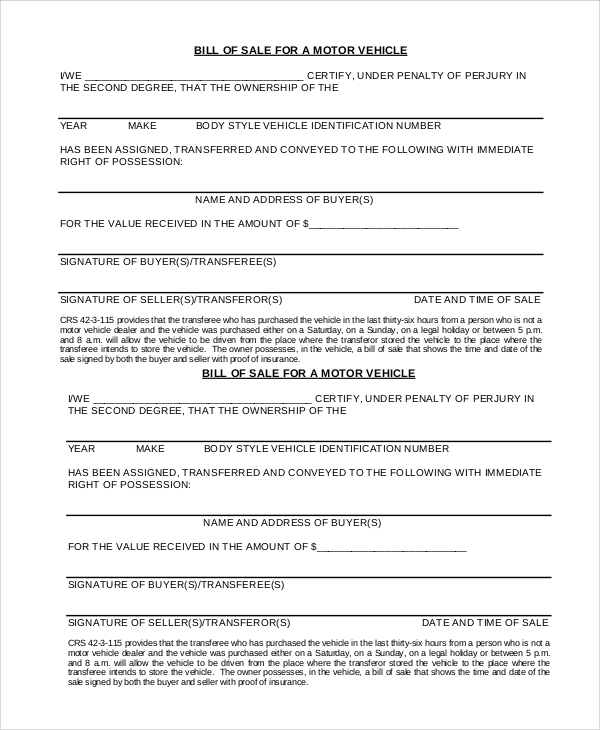 People dealing with vehicles need a Motor Vehicle Bill of Sale whenever they do any sort of transaction related to the purchase or sell of goods. It is not a legal document. The bill is a written agreement between the buyer and the seller regarding the transfer of ownership. It is crucial for both the parties, as a lot of legal obligation come as a part and parcel of vehicle ownership. 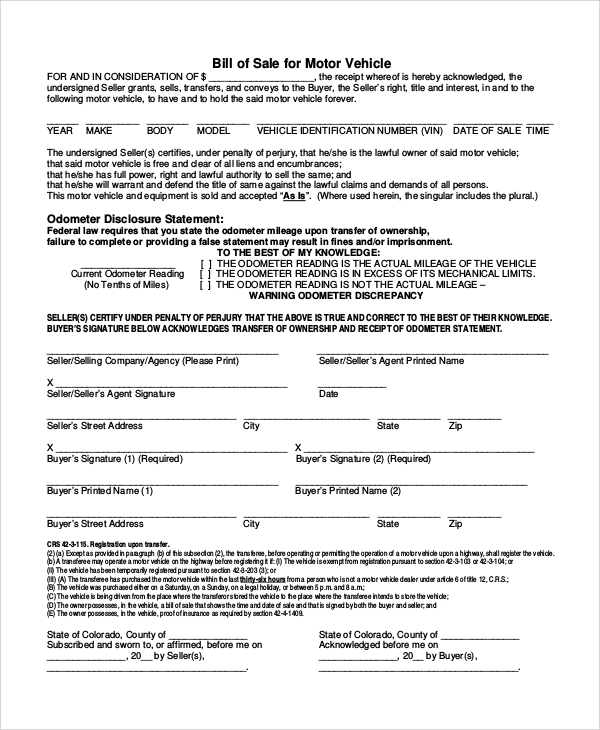 Check out these Bill of Sale Samples for vehicles and you can follow any of these formats when you deal with vehicles. 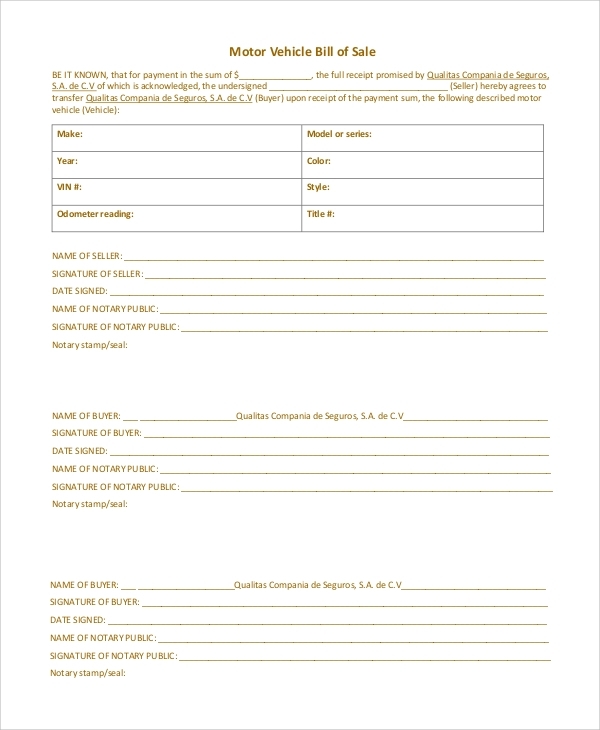 This Simple Bill of Sale Samples is presented in the forms of a paragraph. The information about the seller and particulars about the vehicle are presented at the top. The clauses of the transaction are included in the body. This document is formatted in the forms of a chart. The relevant information on the buyer and the seller of vehicles are presented at the top. 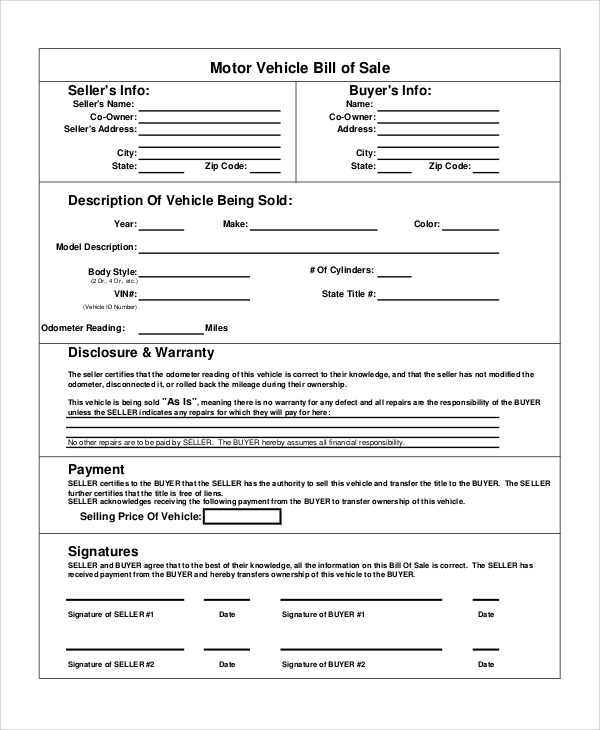 Then the description of the vehicle is given, followed by payment information. Here the vehicle information is put at the top, in a specific section. This is followed by the details of the buyer and the seller. 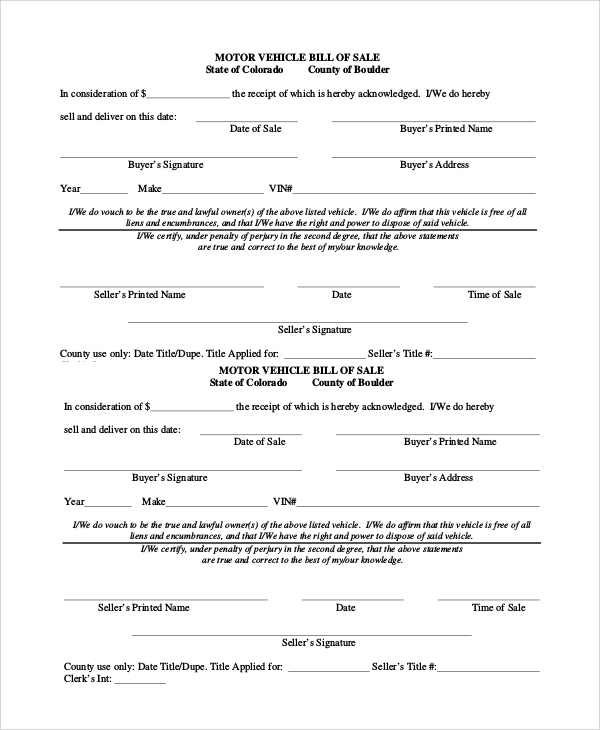 The signature and clauses of the agreement are put forward after these sections. Why is a Bill of Sale for Vehicles so Important? 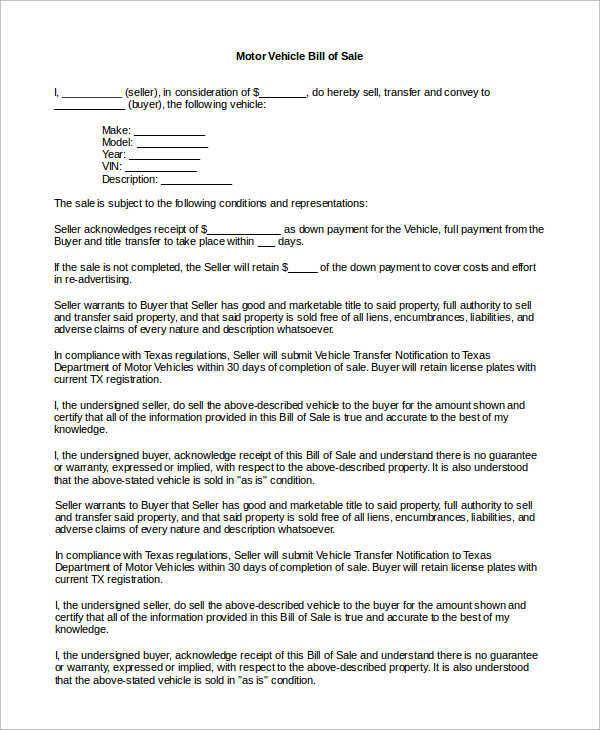 The bill of sale indicates that the vehicle has been transferred in terms of ownership to the buyer from the previous owner. 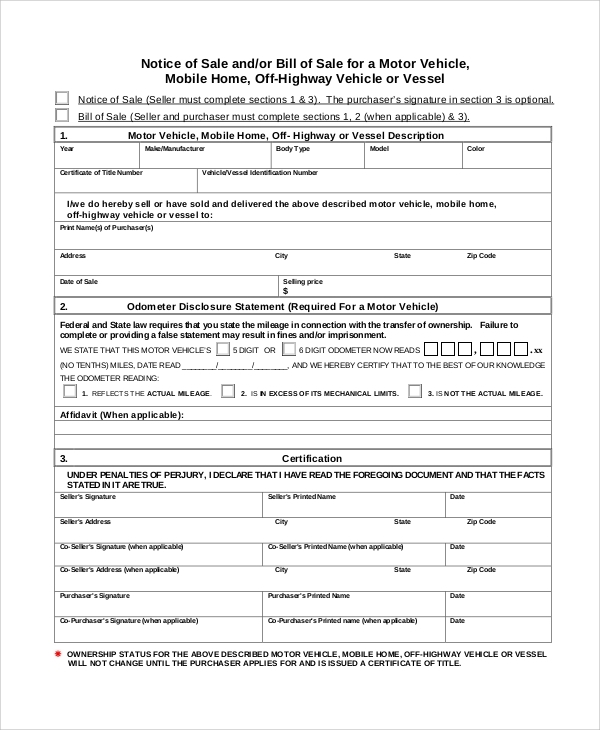 This is important, as a certain vehicle may have pending cases of traffic rule violation or accident cases against it. If the buyer unknowingly purchases the vehicle without a bill, he may land up in trouble in future. Apart from this, there are cases of vehicle theft when stolen cars are sold illegally to others. In any of these cases, you need to be alert about the seller. It Motorcycle Bill of Sale Samples is safe to use the bill whenever when you make the transaction. This is a Blank Bill of Sale Samples with the buyer’s and seller’s information at the top. A complete description of the vehicle is made, followed by the terms of payment and other details related to the purchase. 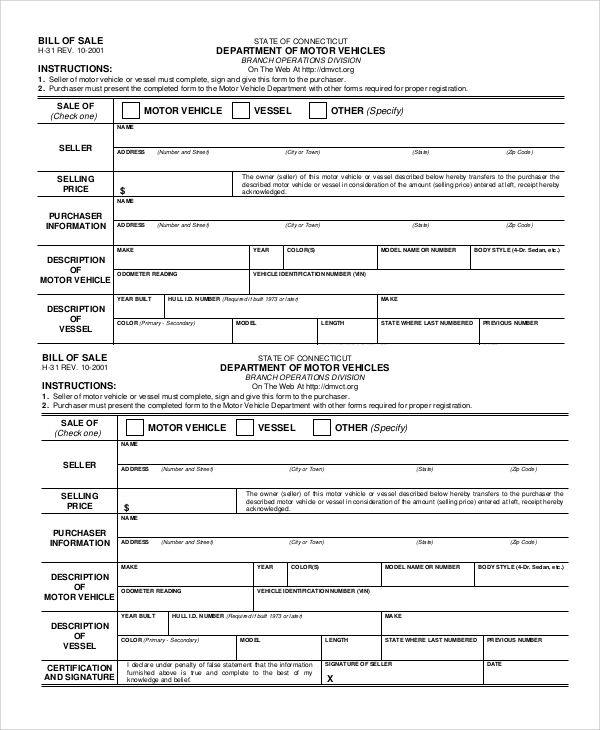 In this vehicle bill form, a tabular format is incorporated to present the information about the vehicle. After this section, information on both the parties is included in the document, followed by terms of payment and other details. What Information is Included in these Bills? All possible details of the vehicles are included in a Bill of Sale for Vehicles. The names and contact information of the buyer and the seller are included in the bill. Apart from this, information of the manufacturer, model, mileage and technical conditions of the vehicles are included in the bill. If there are any clauses of warranty on parts, it has to be specified in the document itself. 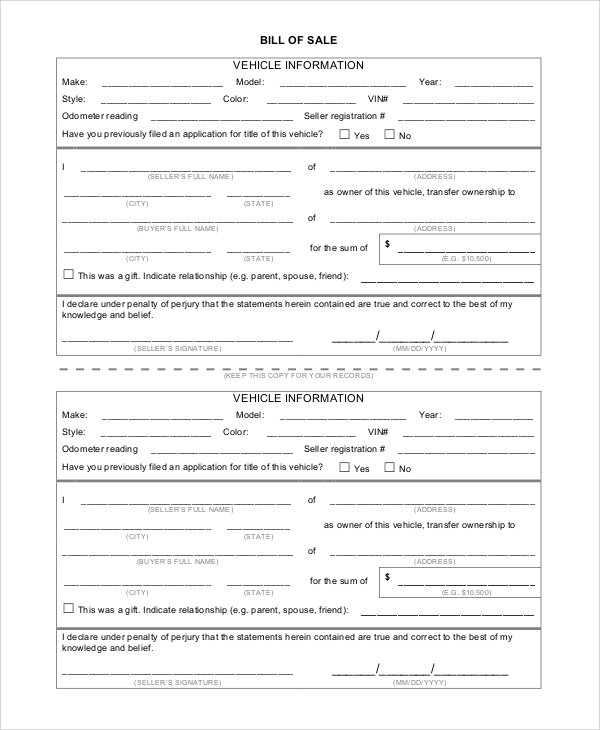 The Sample Vehicle Bill of Sales identification number is also included in the bill, as each vehicle has a unique number for identification. The payment details contain the terms and amount of payment, including the date of the transaction. 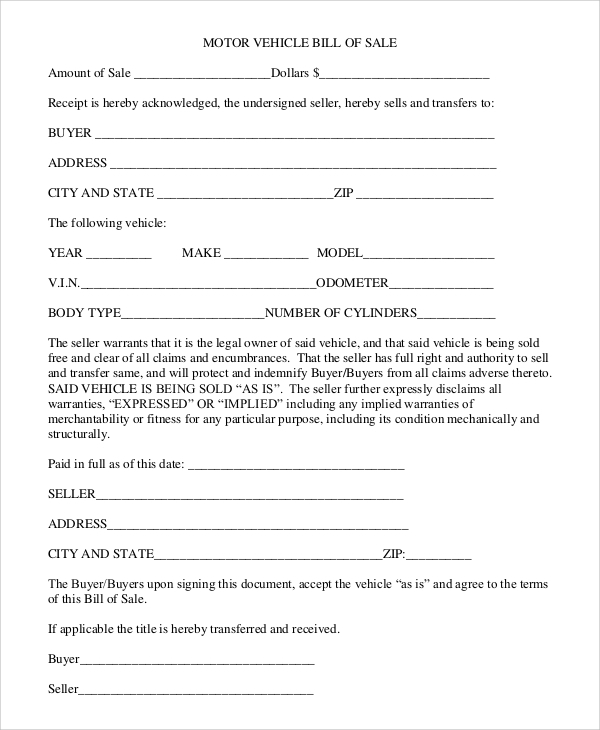 The bill of sale for vehicles is important for both the buyer and the seller. You can check out different formats of Bill of Sale DMV Samples from the website. You can customize the Car Bill of Sale Samples as per your requirements and use them when you do any sort of transaction with vehicles.